Arbaeen Walk 2017 has been started as millions of people including women & children heading to Karbala, Iraq to commemorate the 40th (Arbaeen, in Arabic) of killing of Hussain ibn Ali, The grandson of the Islam’s Prophet Muhammad, who was martyred in the desert plains of Karbala along with his 72 companions 14 centuries ago. 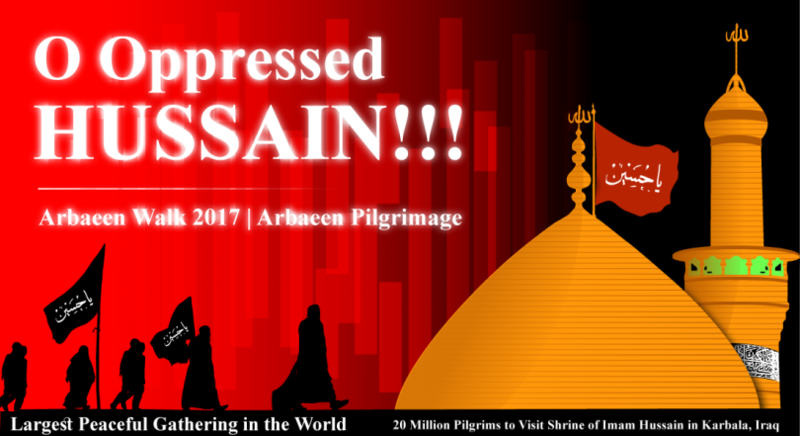 Its the largest peaceful gathering and an expected 20 million pilgrims will gather in Karbala, Iraq on 10th November 2017. 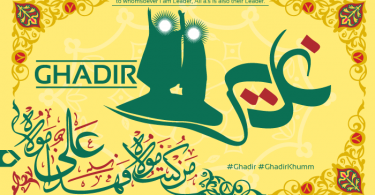 Here is a vector artwork demonstrating Arbaeen Walk 2017 for graphic designers and PEACE LOVERS and definitely for all. Its free, grab it now and share to all humanity and peace lovers.